Info: Shinobi Bonds is a brand new RPG forum made by Ferb which is me. All ranks are open and staff apps too! By the way hurry before all ranks and staff apps are closed! Also Shinobi Bonds have a story so far. The war has begun all shinobi had come to an end at some time. The obvious two rivals Konoha and Suna are in a big battle to see who would be crowned King of the Rivals. The war was devastating shinobi sacrificing lives for their villages and everything! All back then Suna and Konoha signed a legal contract and are now affilates. People thought the war has ended but was still going on... Villagers and others did not get time to live in peace. All war and shinobi homes all have been destroyed. Not much left but some reason shinobi and ninjas didn't care as much as the war were innocent villages and travelers die for no reason. It was a terrifying war of the shinobi countries. Shinobi war has now come to an end and now it's time for the bonds of all villages and countries to live in peace. 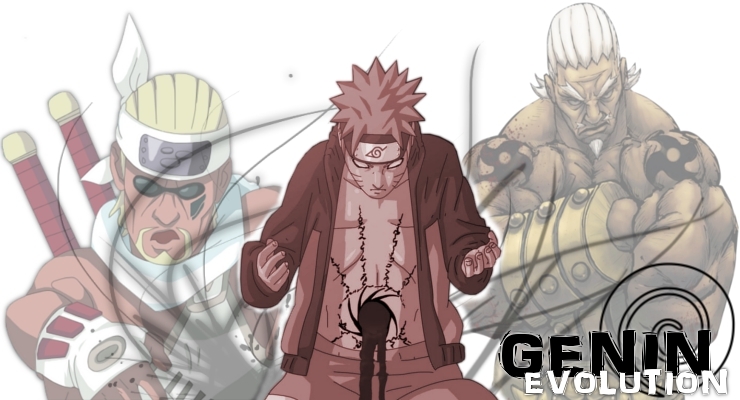 Kages have all come together in a secret base and decided that now the villages and countries declare peace. All now have becomes allies. But some shinobi betray their own village and go off to destroy other villages or even countries. Most now have not come to an end but most have. Now all shinobi villages and countries search for Missin-Nin that has betrayed their village. The bond has started and now it is going to continue until peace has been declared forever.